JOHNSON CITY, TN - The Cardinals hosted the Greeneville Reds on Saturday night in front of another record-breaking crowd at TVA Credit Union Ballpark as a crowd of 4,167 was in attendance for Star Wars Night. 4,167 fans on Saturday night marks the third game that the Cardinals have broken the single-game attendance record as the team set the previous record on Tuesday, July 3rd with 3,947 fans. 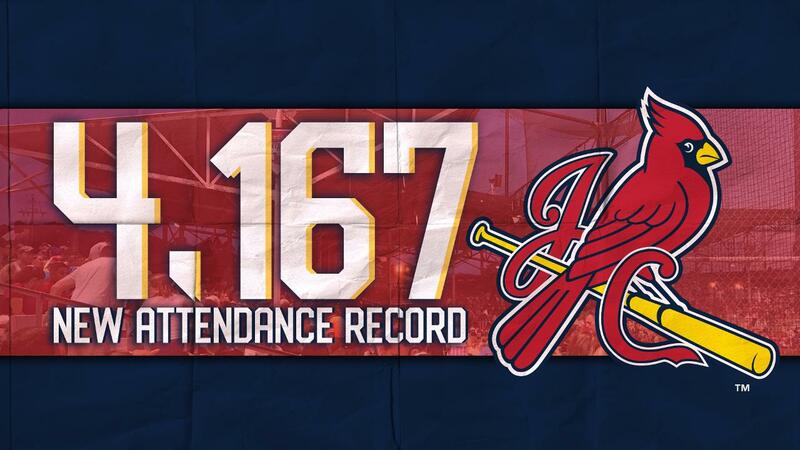 "We are speechless breaking this record for a third time this season. We always felt that 4,000 fans in the ballpark was an attainable number for us but hitting that number tonight is a surreal feeling. Our staff is so incredibly proud of this accomplishment. It truly speaks volumes of this community and the support that we get from them. We can't thank them enough for that," stated Johnson City Cardinals General Manager Zac Clark. After the Cardinals took game one against Greeneville 7-2, they would take a 2-1 lead into the top of the ninth in game two. The Cardinals would give up three runs in the top of the ninth and fall to Greeneville 4-2, putting their playoff chances in a deeper hole. The Reds drew first blood scoring one in the top of the fourth, but the Cardinals answered with two in the bottom of the seventh to take the lead 2-1. In the bottom of the seventh, Liam Sabino led off with a triple (1) and Benito Santiago was hit by a pitch to put runners on first and third. During Moises Castillo's at-bat, Liam Sabino scored on a wild pitch to tie the game at one. Moises Castillo would end up walking, to put runners on first and second. With two outs, Michael Perri singled to load the bases. Then with Leandro Cedeno at the plate, a wild pitch allowed Benito Santiago to score from third to give the Cardinals a 2-1 lead. Tommy Parsons got the start for Johnson City, and pitched an absolute gem. Parsons pitched seven solid innings, surrendering seven hits, one earned run, one walk, and notching six strikeouts, but unfortunately he did not factor into the decision. The Reds did not quit as they stormed back with three runs in the top of the ninth to win 4-2 and tie the series at one. The Cardinals used two pitchers after Tommy Parsons. Evan Sisk was the first out of the bullpen for the Cardinals. Sisk threw one inning of perfect baseball, not allowing a baserunner and notching two strikeouts en route to his fourth hold of the season. Parker Kelly came on to close out the game in the bottom of the ninth. Kelly threw one inning, gave up four hits, and three earned runs. He blew his second save of the season and took his third loss, falling to 4-3. You can listen all season long to Johnson City Cardinals baseball on the MiLB First Pitch App, or via TuneIn Radio on the Johnson City Cardinals Radio Network. 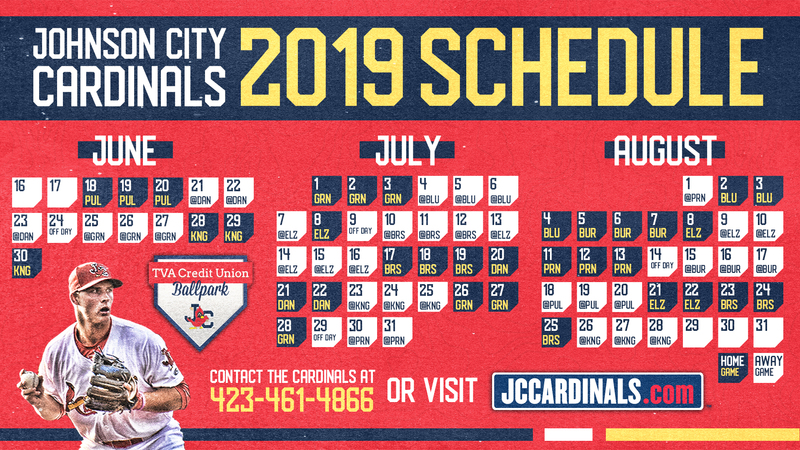 The full schedule for the season and information regarding tickets, and promotion days can be found at jccardinals.com or by calling the Cardinals Office at (423) 461- 4866.